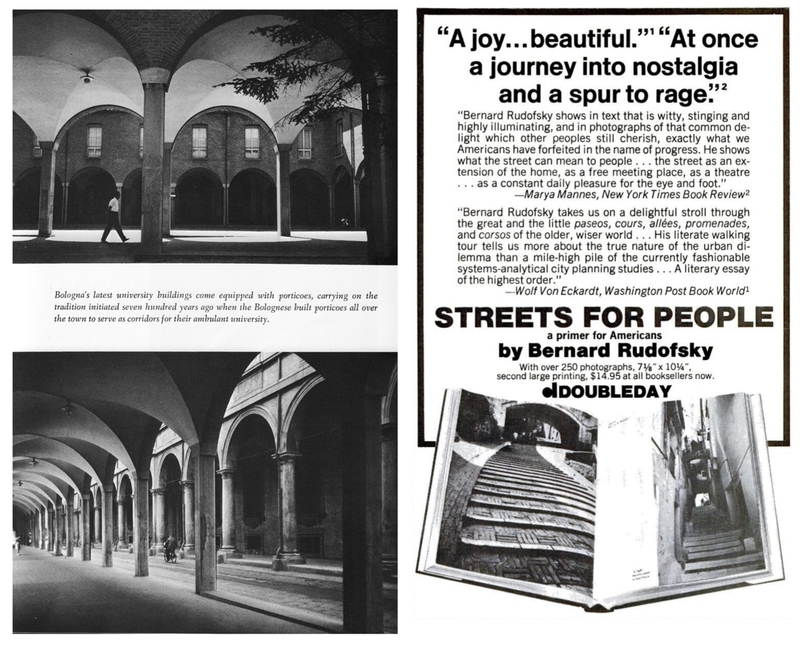 Streets for People by Bernard Rudofsky 1969. "...for the street is not an area but a volume. It cannot exist in the vacuum; it is inseparable from its environment. In other words, it is no better than the company of houses it keeps. The street is the matrix: urban chamber, fertile soil, and breeding ground. Its viability depends as much on the right kind of architecture as on the right kind of humanity." Image (left) from Streets for People and (right) an advert from New York Magazine 25 May 1970.